圖1. 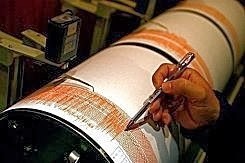 A quake reading on a seismograph. A French-Turkish team of seismologists on Thursday said they had found evidence about the impacts of a rare but extremely violent earthquake called a supershear. In a supershear, a pulse of energy can rip along the fault at up to 21,600 kilometres (about 13,000 miles) per hour -- many times faster than the speed of sound -- and can inflict immediate and potentially massive damage to buildings in the vicinity. 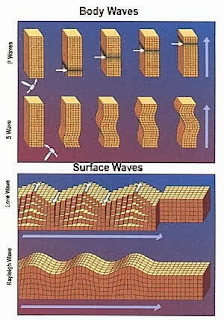 These quakes are not frequent and only occur on particular faults that are in a straight line, as this allows the pulse to be propagated without hitting an obstacle, rather as a car can speed along a straight road but slows at corners. The devastating May 12 quake that hit China's southwestern province of Sichuan was not a supershear, but a conventional quake resulting from compression between two plates. 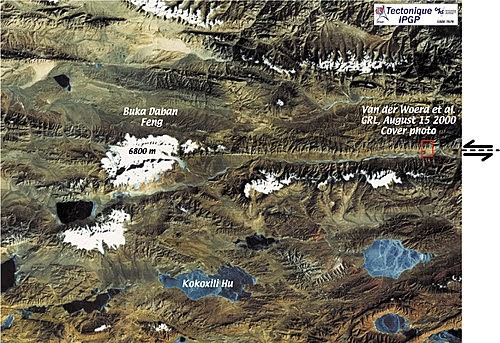 In a study published in science, researchers Michel Bouchon of France's National Centre for Scientific Research (CNRS) and Hayrullah Karabulut of Istanbul's Earthquake Research Institute pored over two supershear quakes that struck northwestern Turkey three months apart in 1999. 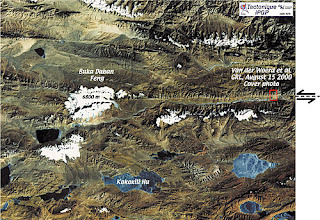 They also looked at a 2001 quake in Tibet that had a magnitude of 7.9 and produced a rupture of 425 kilometres, the longest ever observed, and at a supershear event in Alaska in 2002. They found that supershears inflicted aftershocks in unexpected regions. 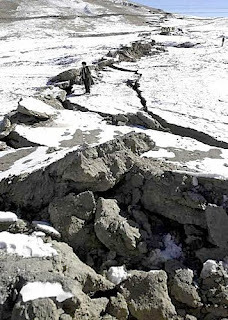 Compared with conventional, slower quakes, whose aftershocks are centred around the fault line, supershears unleashed aftershocks on nearby secondary faults and previously-dormant faults that had been awakened by stress from the rocketing pulse. Being able to predict where aftershocks are likely to occur in a supershear-vulnerable zone could help save lives, although Bouchon, in remarks to AFP, commented " we need a lot more observations of large quakes to be sure" of where such spots could be. The study is published in the US weekly journal Science. Science 6 June 2008: 1323-1325.